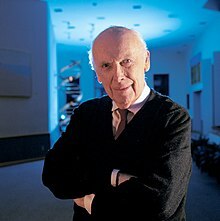 James Dewey Watson (born April 6, 1928) is an American molecular biologist, geneticist and zoologist, best known as one of the co-discoverers of the structure of DNA in 1953 with Francis Crick. Watson, Crick, and Maurice Wilkins were awarded the 1962 Nobel Prize in Physiology or Medicine “for their discoveries concerning the molecular structure of nucleic acids and its significance for information transfer in living material”. Watson earned degrees at the University of Chicago (B.S., 1947) and Indiana University (Ph.D., 1950). Following a post-doctoral year at the University of Copenhagen with Herman Kalckar and Ole Maaloe, later Watson worked at the University of Cambridge‘s Cavendish Laboratory in England, where he first met his future collaborator and friend Francis Crick. From 1956 to 1976, Watson was on the faculty of the Harvard University Biology Department, promoting research in molecular biology. From 1968 he served as director of Cold Spring Harbor Laboratory (CSHL) on Long Island, New York, greatly expanding its level of funding and research. At CSHL, he shifted his research emphasis to the study of cancer, along with making it a world leading research center in molecular biology. In 1994, he started as president and served for 10 years. He was then appointed chancellor, serving until 2007 when he resigned his position after making racist statements suggesting a link between human intelligence and skin color. Between 1988 and 1992, Watson was associated with the National Institutes of Health, helping to establish the Human Genome Project. Watson has written many science books, including the textbook Molecular Biology of the Gene (1965) and his bestselling book The Double Helix (1968). This book is about the DNA structure discovery, reissued in a new edition in 2012 – The Annotated and Illustrated Double Helix edited by Alex Gann and Jan Witkowski. After reading Erwin Schrödinger‘s book What Is Life? in 1946, Watson changed his professional ambitions from the study of ornithology to genetics. Watson earned hisB.S. degree in Zoology from the University of Chicago in 1947. In his autobiography, Avoid Boring People, Watson described the University of Chicago as an idyllic academic institution where he was instilled with the capacity for critical thought and an ethical compulsion not to suffer fools who impeded his search for truth, in contrast to his description of later experiences. In 1947 Watson left the University of Chicago to become a graduate student at Indiana University, attracted by the presence at Bloomington of the 1946 Nobel Prize winner Hermann Joseph Muller, who in crucial papers published in 1922, 1929, and in the 1930s had laid out all the basic properties of the heredity molecule that Schrödinger presented in his 1944 book. 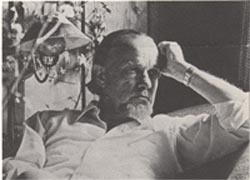 He received his PhD degree from Indiana University in 1950; Salvador Luria was his doctoral advisor. In the first video below in the 20th clip in this series are his words and my response is below them. In 1976 Adrian Rogers led a group from our church Bellevue Baptist to Israel on a tour and I was privileged to be a part of that tour and we saw some of the Dead Sea Scrolls. I wanted to react to two quotes by you today. In this letter I wanted to give you two pieces of evidence that indicates the Bible is true. You are a scientist and you always base your finding according to the evidence. I want to talk to you today both about the historical accuracy of the Bible concerning the existence of King Belshazzar of Babylon and also the impact the discovery of the Dead Sea Scrolls had on authenticating the Bible copy we have today. I think atheists get a sort of bum rap that we’re just heartless and we don’t care for people or we totally reject the values we’ve been brought up on, and to me it’s just most of the ideas of Christianity sound good, but in reality, some of them aren’t very good, but they sound good, and so it makes a good funeral. It is much nearer to us than we think. To those of you who have passed fifty, sixty, or 70 years of age, it must, of necessity, be very near. To others of us who are in the prime of life, it is not far off, for I suppose we are all conscious that time flies more swiftly with us, now, than it ever did. The years of our youth seem to have been twice as long as the years are, now, that we are men. It was but yesterday that the buds began to swell and burst—and now the leaves are beginning to fall and soon we shall be expecting to see old winter taking up his accustomed place. The years whirl along so fast that we cannot see the months which, as it were, make the spokes of the wheel! The whole thing travels so swiftly that the axle thereof grows hot with speed. We are flying, as on some mighty eagle’s wing, swiftly on towards eternity. Let us, then, talk about preparing to die. It is the greatest thing we have to do—and we have to do it soon—so let us talk and think something about it. 2 Belshazzar, when he tasted the wine, commanded that the vessels of gold and of silver… of the temple in Jerusalem be brought, that the king and his lords, his wives, and his concubines might drink from them. 3 Then they brought in the golden vessels that had been taken out of the temple, the house of God in Jerusalem, and the king and his lords, his wives, and his concubines drank from them. 4 They drank wine and praised the gods of gold and silver, bronze, iron, wood, and stone. 30 That very night Belshazzar the Chaldean king was killed. 31 [j] And Darius the Mede received the kingdom, being about sixty-two years old. Do you remember the story about the handwriting on the wall that is found in the fifth chapter of Daniel? Belshazzar hosted a feast with a thousand of his lords and ladies. Suddenly, a gruesome hand appeared out of nowhere and began to write on a wall. The king was disturbed and asked for someone to interpret the writing. Daniel was found and gave the interpretation. After the interpretation, “Then commanded Belshazzar, and they clothed Daniel with scarlet, and put a chain of gold about his neck, and made a proclamation concerning him, that he should be the third ruler in the kingdom.” (Daniel 5:29). Basing their opinion on Babylonian records, the historians claim this never happened. According to the records, the last king of Babylon was not Belshazzar, but a man named Nabonidas. And so, they said, the Bible is in error. There wasn’t a record of a king named Belshazzar. Well, the spades of archaeologists continued to do their work.In 1853, an inscription was found on a cornerstone of a temple built by Nabonidas, to the god Ur, which read: “May I, Nabonidas, king of Babylon, not sin against thee. And may reverence for thee dwell in the heart of Belshazzar, my first-born favorite son.” From other inscriptions, it was learned that Belshazzar and Nabonidas were co-regents. Nabonidas traveled while Belshazzar stayed home to run the kingdom. Now that we know that Belshazzar and Nabonidas were co-regents, it makes sense that Belshazzar would say that Daniel would be the third ruler. Over and over again in these letters I have compared you to King Solomon because of your lifestyle and your vain pursuit of satisfaction in the 6 “L” words. According to the Book of Ecclesiastes Solomon looked into learning (1:16-18), laughter, ladies, luxuries, and liquor (2:1-3, 8, 10, 11), and labor (2:4-6, 18-20) in his pursuit of satisfaction UNDER THE SUN and then in the final chapter he looks ABOVE THE SUN and brings God back into the picture. 13 The end of the matter; all has been heard. Fear God and keep his commandments, for this is the whole duty of man. [c] 14 For God will bring every deed into judgment, with[d] every secret thing, whether good or evil. On Easter morning March 27, 2016 at FELLOWSHIP BIBLE CHURCH our teaching pastor Brandon Barnard delivered the message THIS CHANGES EVERYTHING based on I Corinthians chapter 15 and I wanted to share a portion of that sermon with you today. The first Adam messed it up for all of us, but the second Adam, Jesus Christ, he made everything right. The scripture says, “As in the first Adam everyone dies, but in the second Adam (Jesus Christ) we all can be made alive. The latest statistic is one out of one people die. No one escapes death, but there is one who defeated it, and what you and I believe about this one determines our eternal destiny. The life, death and resurrection of Jesus changes everything. 18 So the Jews said to him, “What sign do you show us for doing these things?” 19 Jesus answered them, “Destroy this temple, and in three daysI will raise it up.” 20 The Jews then said, “It has taken forty-six years to build this temple,[a] and will you raise it up in three days?” 21 But he was speaking about the temple of his body. 22 When therefore he was raised from the dead, his disciples remembered that he had said this, and they believed the Scripture and the word that Jesus had spoken. Obviously Dr. Watson from your comments above you indicated that you do not believe in an afterlife. However, would you agree that if the Bible is correct in regards to history then Jesus did rise from the grave? Let’s take a closer look at evidence concerning the accuracy of the Bible. 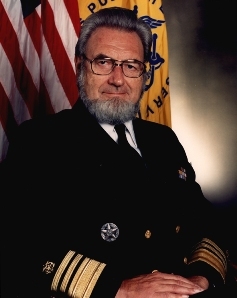 I know that you highly respected Surgeon General C. Everett Koop and he co-authored with Francis Schaeffer the book WHATEVER HAPPENED TO THE HUMAN RACE? Below is a piece of evidence from that book. A much more dramatic story surrounds the discovery of the Dead Sea Scrolls in the present century. The Dead Sea Scrolls, some of which relate to the text of the Bible, were found at Qumran, about fifteen miles from Jerusalem. Most of the Old Testament was originally written in Hebrew, and the New Testament in Greek. Many people have been troubled by the length of time that has elapsed between the original writing of the documents and the present translations. How could the originals be copied from generation to generation and not be grossly distorted in the process? There is, however, much to reassure confidence in the text we have. In the case of the New Testament, there are codes of the whole New Testament (that is, manuscripts in book form, like the Codes Sinaiticus and Codex Alexandrinus, dated around the fourth and fifth centuries respectively) and also thousands of fragments, some of them dating back to the second century. The earliest known so far is kept in the John Rylands Library in Manchester, England. It is only a small fragment, containing on one side John 18:31-33 and on the reverse, verses 37 and 38. It is important, however, both for its early date (about A.D.125) and for the place where it was discovered, namely Egypt. This shows that John’s Gospel was known and read in Egypt at that early time. There are thousands of such New Testament texts in Greek from the early centuries after Christ’s death and resurrection. In the case of the Old Testament, however, there was once a problem. There were no copies of the Hebrew Old Testament in existence which dated from before the ninth century after Christ. This did not mean that there was no way to check the Old Testament, for there were other translations in existence, such as the Syriac and the Septuagint (a translation into Greek from several centuries before Christ). However, there was no Hebrew version of the Old Testament from earlier than the ninth century after Christ–because to the Jews the Scripture was so holy it was the common practice to destroy the copies of the Old Testament when they wore out, so that they would not fall into disrespectful use. Then in 1947, a Bedouin Arab made a discovery not far from Qumran, which changed everything. While looking for sheep, he came across a cave in which he discovered some earthenware jars containing a number of scrolls. (There jars are now in the Israeli Shrine of the Book in Jerusalem.) Since that time at least ten other caves in the same vicinity have yielded up other scrolls and fragments. 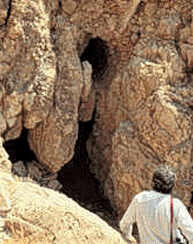 Copies of all the Old Testament books except Esther have been discovered (in part or complete) among these remains. One of the most dramatic single pieces was a copy of the Book of Isaiah dated approximately a hundred years before Christ. What was particularly striking about this is the great closeness of the discovered text tothe Hebrew text, whicch we previously had, a text written about a thousand years later! On the issue of text, the Bible is unique as ancient documents go. No other book from that long ago exists in even a small percentage of the copies we have of the Greek and Hebrew texts which make up the Bible. We can be satisfied that we have a copy in our hands which closely approximates the original. Of course, there have been some mistakes in copying, and all translation lose something of the original language. That is inevitable. But the fact that most of us use translations into French, German, Chinise, English, and so on does not mean that we have an inadequate idea of what was written originally. We lose some of the nuances of the language, even when the translation is good, but we do not lose the essential content and communication. PS:You said you don’t believe the Bible is correct about the existence of an afterlife. However, are you willing to take a look at some evidence that demonstrates the Bible is historically accurate and trustworthy?